Click the button below to add the The Original Little Skunk Crappie Jig - Choice of 11 Colors - 1/32 oz to your wish list. The ORIGINAL Lisk Lure Little Skunk around since 1954 is hand-tied and approximately 1/32 oz. with #8 jig hook and #12 trailer hook with marabou. 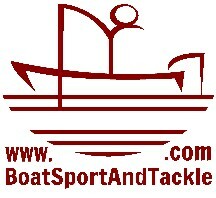 Great for catching for pan fish, bluegill, crappie, and small bass, etc. The Original Big Skunk Crappie Jig - Choice of 5 Colors - 1/16 oz.